November 26th, 2011. Istanbul, Turkey. Work of an architect Mimar Sinan, 1490-1588 who was the chief Ottoman architect and civil engineer for sultans of that time. 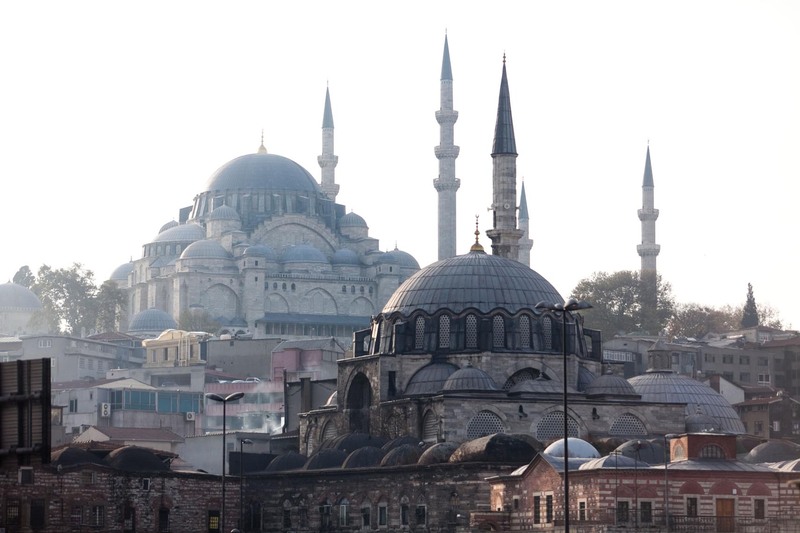 Here, completed in 1558, Suleymaniye Mosque (in the background) and Rustem Pasa Mosque (in foreground). As seen from the Bosphorus river. Piotr Redlinski for The New York Times.